Building relationships, one cup at a time. That’s what Regina Police Service (RPS) has been doing in its latest installment of the community outreach program “Coffee With A Cop,” with residents from inside and outside the city. 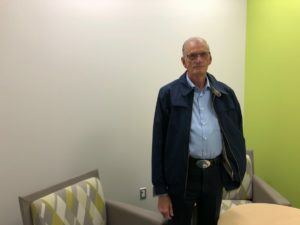 Since August 2017 the program has been meeting with community members every three months; its origin stems from a high-traffic, North Central-neighbourhood McDonald’s restaurant. “We get a lot of calls for service at this McDonald’s,” said Const. Frank Kovacs, an RPS member who participates in the program. “We built a good relationship with this location. For the city, the concept is a new approach to building ties between residents and the police. Kovacs attributes this to the change in leadership under new RPS Chief Evan Bray. Donna Starblanket, the guest experience leader at North Central McDonald’s, explained for the outreach to be successful, fear and apprehension need to be off the table. Starblanket explained the meetings can give insight into local issues from stolen property to break-and-enters to missing bicycles. Morris Eagles has lived in North Central for over 40 years and has participated in all three sessions of Coffee With A Cop. He believes the outcomes of this process are long overdue in the community. “What it’s really done for North Central — and certainly for RPS — it’s built bridges,” Eagles said. “In the ’70s we had a community cop program; his job was to meet residents, have a cup of coffee with them and open up dialogue, but that program has been gone many years now. Eagles is enjoying this new program and highlights the benefits of the informal approach. People who want to get involved can contact RPS through its social media. The next session is scheduled for December. I am a third year journalism student at the University of Regina. Growing up in Winnipeg I hosted a country music show for two years on FM Radio. I share a great interest in current events, sports and business affairs. My dream job would be to work as a sports broadcaster in Chicago.